When you do a tough job, it’s only natural to want to make it easier for yourself. 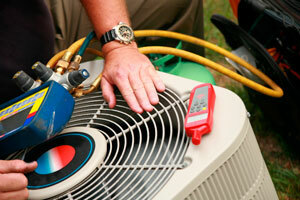 Using quality equipment and being organized are among the most important things you can do. 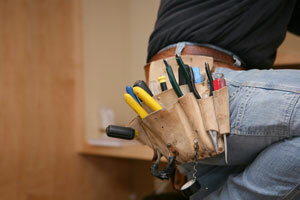 For a lineman, this means keeping your tools in order. This is why the best linemen choose only the best tool bags. But which should you pick? 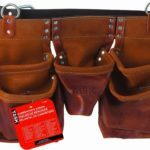 What we have here is a list of some of the most highly rated lineman tool bags, backpacks, aerial pouches, aprons and aerial buckets that will make your tool organization much easier. 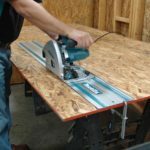 If quality is what you’re looking for, Klein Tools is the right brand for you. They’re among the best manufacturers of lineman gear. And this item is one of their most highly rated storage options. Let’s check out its pros and cons. One of the best things about this bucket is that it’s made to last. This is mostly thanks to the highly durable polyester that’s used in its production. But it has a lot to do with its molded polypropylene bottom as well. Its purpose is to protect the contents from getting damaged, and it does that very well. When it comes to storage, this model is a real catch. It’s 14 inches long and equipped with a total of 29 pockets. Fourteen are placed on the outside, so you can easily reach the tools you often use. This aerial bucket has some flaws as well. People usually complain that it’s not big enough for some of the larger tools. But if this is of no great importance to you, you’ll definitely appreciate what it can do for your organizational skills! 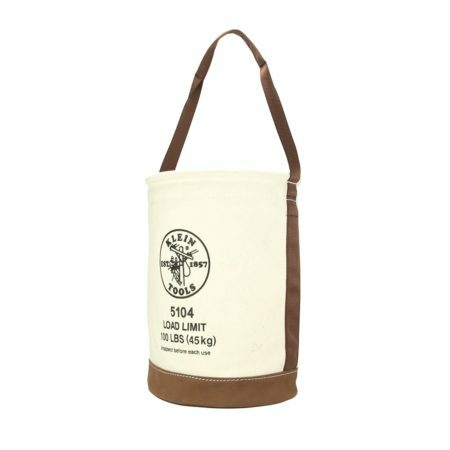 For those who’d like a classic canvas bucket, there are plenty of high-quality choices. Some of the best models are, of course, made by Klein Tools. What follows is a review of their most highly rated product! When it comes to storage capacity, this bucket won’t disappoint you. It’s 17 inches high and 12 inches wide. It’s even equipped with an inside pocket, which is quite big at that. But what’s best about this item is its durability. 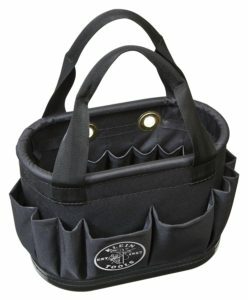 Constructed using heavy-duty canvas, the bucket is capable of withstanding a lot of damage. 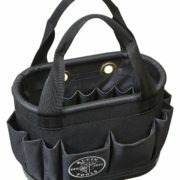 Its bottom is reinforced with high-quality leather, which prevents the contents from getting wet. The top ring is made of high-density polyethylene, making the whole thing even sturdier. And last but not least, thanks to its rope handle, this product provides a firm grip. 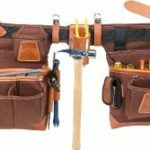 When it comes to disadvantages, it seems that this heavy-duty lineman tool bag doesn’t have many. Most complaints are made about shipping errors and other technicalities. All in all, it’s safe to say that you’d love this item regardless of your individual preferences! Most linemen use buckets and pouches, but this doesn’t mean those are the only options. A backpack can be a great alternative, which is something people are already starting to realize. But don’t take our word for it – take a look at this item’s pros and cons! When it comes to ease of use, you can’t beat the Tradesman Pro backpack. Made of 1680-denier ballistic polyester, it’s at the same time durable and lightweight. 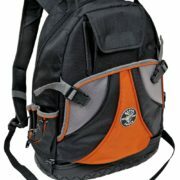 It features padded shoulder straps that can be adjusted to fit you perfectly. With a total of 39 pockets, it provides you with plenty of space to store all the essentials. You can use the front pocket to hold fish tapes. 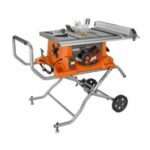 Since it’s 18 inches high, it’s also suitable for larger tools such as power drills. To make it easier for you to find what you need when you need it, the interior is lined with bright orange fabric. And to keep the contents safe from harm, the bottom is reinforced with even tougher materials. 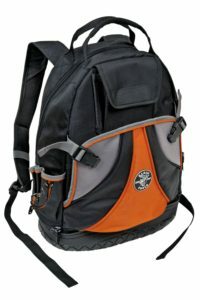 Some users claim that the zipper on this backpack isn’t very reliable. Other than that, people have only good things to say about it! 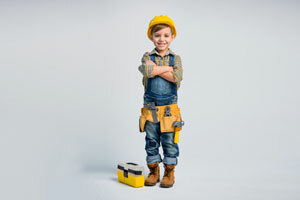 If you’re looking for something smaller, you might want to consider Renzer. 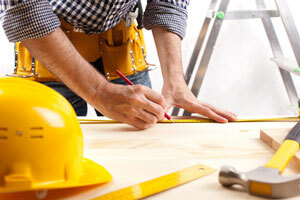 The brand boasts some of the most highly rated tool aprons. Let’s see how this particular product could improve your organizational skills! Made of quality oxford fabric, this apron won’t get damaged that easily. It’s waterproof as well, which makes it suitable for any line of work. Since it’s 10 inches long and equipped with six individual pockets, it’s an ideal secondary storage option. 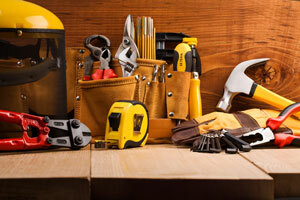 Thanks to its tool loops, it allows you to organize your hammers, flashlights and similar items. It even has a sheath that you can use to safely store your knife. Apart from all this, the apron is comfortable to wear. 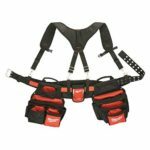 It has an adjustable belt, and features a quick-release buckle. The latter allows you to take it off using only one hand. Using Renzer’s tool apron has some downsides as well. There are some who believe the pockets are too small, and claim their tools fall out when they bend. But apart from that, this is a piece of gear most people would recommend! Although DBI Sala isn’t as renowned as Klein Tools, they still make great gear. 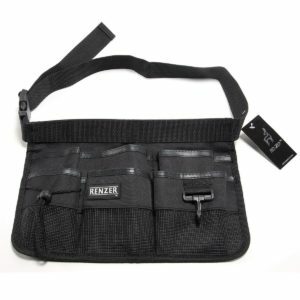 One of their best items is this small, yet functional tool pouch. Let’s see how it could help you organize your stuff! Although it’s a small item, this pouch boasts a total of 15 individual pockets. 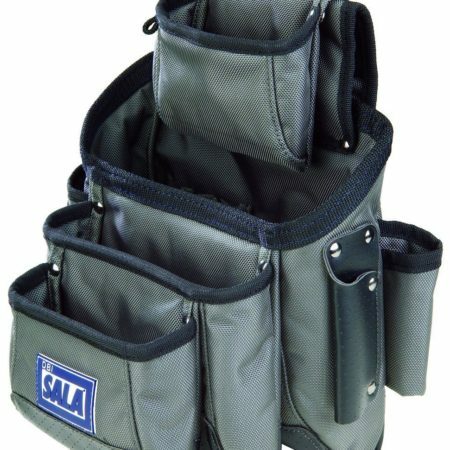 There are three main pockets for larger tools. Others are smaller, but highly functional. There’s even a pocket specially designed for pry bars. Apart from being compact, this product is surprisingly durable as well. It’s made of 1680-denier nylon, which makes it resistant to all kinds of damage, including puncture and tear. Since it features an adjustable belt, you don’t have to worry about sizes. 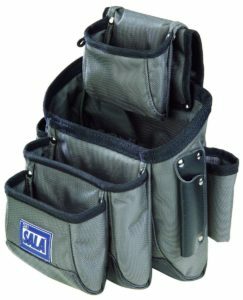 The DBI Sala pouch is 11 inches wide, but it’s still too small to be your primary storage option. Also, none of the pockets can be closed, which could prove to be a problem to some. But apart from that, it’s a great lineman tool bag!